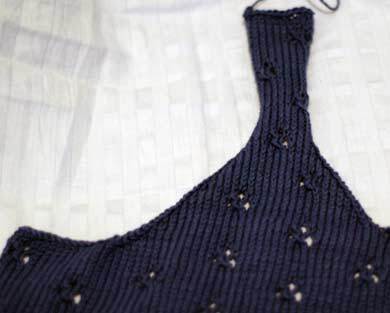 You may have figured by now that I am not really the mad-partying type… hence the post I finished off the front part of the blue cotton vest last night whilst watching Rocky Balboa (the new Rocky VI)… ah, great entertainment. You gotta admit, Stallone’s pretty funny. Here’s the vest. Because I didn’t bring my 2.75mm needles with me, I can’t start the ribbing for the back. Maybe that is just as well – give myself a bit of a break from it. So I have been plodding away with my Hedera sock, churning out the leg, through a pretty dire Star Trek movie, and then Explorers (River Phoenix, Ethan Hawke, bizarre sci fi fantasty flick). All the while I was thinking alot about 2006 and 2007, as is the trend this time of year. I’m not the kind of person who leave it until January 1st to make resolutions. I make resolutions all year round because I’m always planning new things and changing things around. My main aim for 2007 is to get the hell out of college. Most of my other resolutions are to do with making time for other things. Apart from that, I think I’ll give this 07 Stash Diet thing a go. 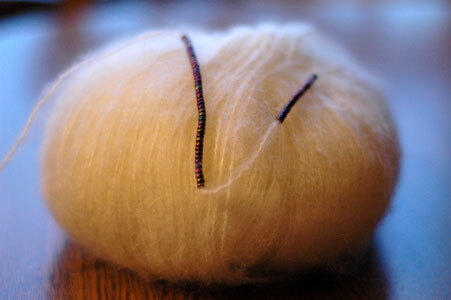 I know I got Colinette Mohair yesterday, but that was December 30th. I’m going to use it as a challenge to come up with the most creative ideas for the yarn I bought with no intended project. 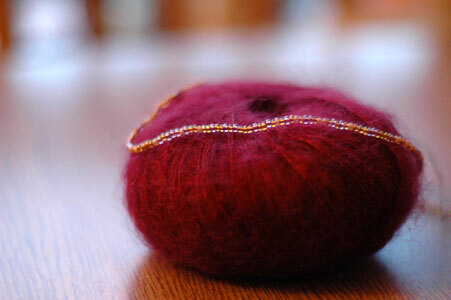 I’ve already decided the Colinette should go towards a fun beret. This is the first full year I have had the blog and I want to thank all my visitors for coming back and for all your feedback. You are what make this all worthwhile! Thank you too for keeping up your own blogs, as they are a daily source of inspiration and renewed interest in knitting for me. Happy knitting in 07! Isn’t it great when a yarn shop has a January sale like all the other shops? If you’re in the Galway area this month, check out Yarn for some great bargains. They have 20% off all pattern books and yarns, and they are selling off packs of yarn (you know, ten packs) with 25% off. 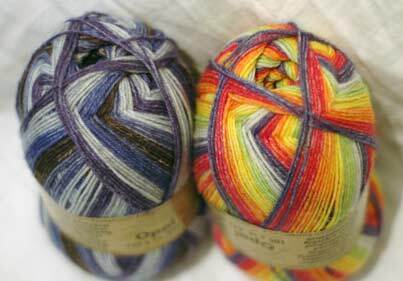 I went in for a pair of needles and came out with some Opal sock yarn! How could I resist! The blue is for fish mittens, and the brightly coloured stuff is for some stripey socks to ward off any January blues. I enjoyed knitting plain stripey socks with the Magic Stripes yarn that Robin sent me so much that I thought another pair surely couldn’t hurt. Plus, I got two balls for e15, which is pretty good for Opal. I have been mulling alot about this black jumper with coloured yoke I want to knit. Initially, my plan was to do a simple fair isle pattern with some Noro Kureyon. But then I saw this Colinette Mohair and thought the mint green and cool blue would be equally as good with the black. Now I don’t know what to decide! My cotton vest reached the armholes yesterday. I have the armholes and neck shaping plotted out but who knows if it will work properly or not! My calculations are based on Dodgy Maths ™ and holding a measuring tape up to myself. How can I go wrong! …And here are the socks! I am delighted to report that this month’s Knitting magazine has a cape on the front cover. Not quite batman-ahoy, but for some reason, I feel really drawn to these peculiar items of clothing. Maybe it’s because they are like a fashionable type of poncho, capable of disguising all sorts of things (lumps, bumps, weapons, you know). Aside from that, though, I am thrilled about it because it’s knit using the new Kilcarra Aran stuff Debbie Bliss is putting out. Hopefully it will give Kilcarra a boost and get the new line out into the open. The blue raglan I’m knitting at the moment is with the Kilcarra Tweed/Debbie Bliss stuff in Aran weight, and it is knitting up so nicely. I’m really looking forward to the end result. In other news, let me guide you towards the excellent BBC Radio 4 site. I listen to BBC 3 and 4 regularly in Dublin as, not only is the reception great, the quality of programming is unmatched by any other station. A quick browse through their Arts section will show you what I mean. They have a great ‘Listen Again Online’ facility now. 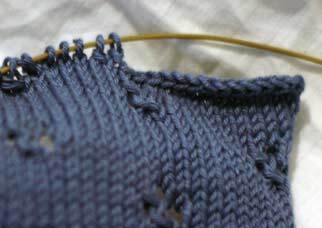 Type ‘Knitting’ into the search box and you’ll find lots of podcasts of shows – mostly Women’s Hour – where Knitting was discussed. I have yet to listen to the ones I downloaded earlier today, but I’m sure they won’t be rubbish. Click around, and you’ll find that you can listen to and save most shows put out over the last week. Not every show puts out a podcast. I’m not one to brag about presents at Christmas time, but I have to share this one with you. Alb very kindly got me a digital subscription to Craft magazine. Whilst in New York, I had the luxury of looking through this magazine. It is excellent! However, at $15 an issue, it seemed very poor value for money and I left it behind. Check out their subscription service, though, because they offer a choice between a print and a digital subscription. I tend to be one of those ‘like to have in my hands’ people, but when a digital subscription is half the price, I’m not that much of a snob! Do go and have a look at the magazine previews, there are lots of interesting things in it. Even if you don’t splurge on a subscription, the blog is worth keeping an eye on, as it is updated very regularly with quirky news, interviews and great how-tos. Speaking of magazines, I came upon a great new Irish magazine called Easy Food. At just €3, it is good value for money as it contains articles about food and nutrition, and recipes for all sorts of things. The main reason I bought it is because they had gluten-free treat recipes, but a more thorough read yielded some fun ideas for main courses and desserts. Examples include chocolate pudding, really easy spicy chicken and veg kebabs, and vegetable frittata. Frittata is like a quiche you cook in the grill in a pan without the pastry base. Yum yum! Lá ‘le Stiofáin – Nollaig Shona Dhaoibh! Ah yes… Having a good Christmas? Enjoying the presents? Soaking up the free time? I know I am! I’ve been getting some great knitting in and enjoying being home. This morning, I picked up my sock – these guys – and worked my way along until I came to knit the heel flap. One of the best bits! Suddenly, I realised that instead of 60 stitches, I had 90 stitches (let this be a lesson: never cast on when hungover). I have progressed much better on other fronts though. 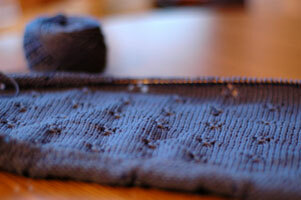 I am nearing the armhole shaping for the front part of the blue cotton vest. Even though I hadn’t planned it, I stuck in some waist shaping that I hope I’ll remember to do on the back part And just as I’m typing it, I realise that I hadn’t planned on the making of armholes lol… this is going to be really interesting! Yesterday, I got extremely enthusiastic and went for a 20 minute run before lunch. After lunch we all went out for a big long walk around the lake. The only thing I was fit for after dinner was sitting down and this – the never-ending threading on of beads! Today, I figured I should get the threading on of beads totally out of the way, and got cracking on another project I have in mind. 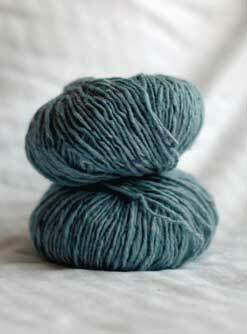 I have two balls of Sirdar Bliss, which is a mohair mix, in my stash for the last God-knows-how-long. I have also had in my possession a bag of dark purple beads for at least five years. Combined? A beaded wrap. I’m going to put off knitting this one for a while. I have had some ideas for a lace pattern for it, but no good ones. I’m going to wait and see. If my Holiday issue of Vogue Knitting ever arrives (I await with baited breath, though with these magazine people it wouldn’t want to be too baited or I’d just pass out), it might have some ideas in it. I had the best of intentions re: practising today, but it just didn’t seem to happen. 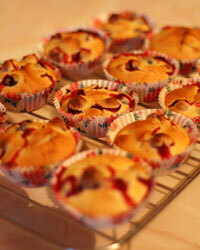 I threw caution to the wind and decided to bake up some cranberry muffins. My mum makes 100% unsweeted cranberry sauce, ie cranberries stewed in water, for my dad. He’s a guy who eats lemons like oranges, but even he can only tolerate a spoonful of these cranberries at a time. I figured they would be great for muffins. So I got out my gluten free flour (a godsend, by the way), my cranberries and got cookin’. It’s just as well I took the photo because they’re all gone now. My dad came in from digging a hole out the back and ate three. They really do have a tang! I also made a bakewell tart. A bakewell tart has a pastry base, like an ordinary tart, then your filling – I put in apples – and then a sponge mix on the top. You need to bake it in a deep enough dish to hold in the sponge. I can’t take a photo of it because it has already disappeared! So, ye merry olde Clapotis came to a horrible stop in the middle of the week because I ran out of wool. I didn’t get a chance to rip back and start reknitting until today. Yes, I know. This wouldn’t be such a big deal, but our family tradition is to give presents on Christmas Eve and not Christmas Day. This comes from when we were small, because Santy came for Christmas Day, so family presents were the night before – and still are. Once you get used to getting all your presents the night before, there’s no going back. Anyway, I ripped right back and got going straight away. I have two more decrease repeats to do and then I’m done. Still love the colours! As for my dad’s welly socks, I am on the cusp of toe shaping (love that word. Cusp). I’m going to have to come up with some imaginative wrapping to disguise these guys. I think an egg carton should do the trick. In other news, I have been plugging away at my blue raglan. It has become my reading jumper, and have been ploughing through both it and my new read, Prokofiev by Prokofiev. I gotta tell ya, you never know what you’ll find in the Academy library. For such a small college, it’s library is top notch. They’re always buying in new cds, new editions, lots of things. But I digress! I am still enraptured by the colours I chose for Butterfly. So Christmassy! I want to start this straight away but I’m going to hold out until Christmas Day. 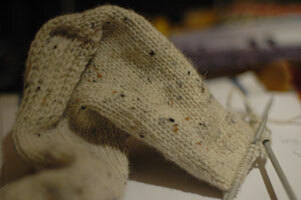 I knitted the swatch, but I think it is a little too holey so may swap the 5mm needles for 4.5mm ones. I had to take to my bed this afternoon with a head cold. It’s nothing serious, but when all you’ve got is Panadol and no Benilyn, bed really is the only solution. I’m ok now. It’s been such calm weather out, I was hoping to get started back at my running but no joy. 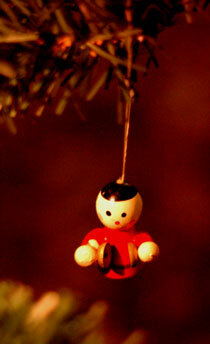 In the end, putting up Christmas decorations proved exercise enough! I love how berets are really taking off here. I saw at least five yesterday, and I have yet to see a person that it doesn’t suit. A beret is contained, elegant and still warm and snuggly! You can pull it down over your ears if you’re cold or you can pull it up a bit so its just sitting on top of your ears. So versatile! Now, I’m lazy and I got mine in Marks and Spencers. 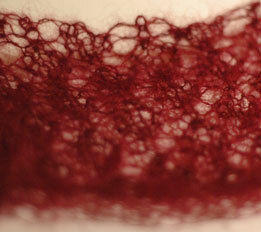 But I have knit one – check it out here – and I highly recommend it. It’s more interesting than a regular hat. 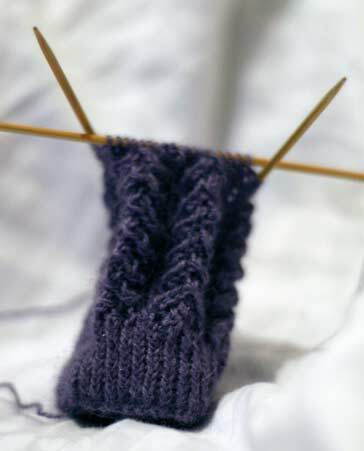 You only have to knit about two inches for the normal circumference for your head, then you increase tons all of a sudden, and then you have to start decreasing. It’s a bit like socks in that way for keeping your attention. Have I got you poised on the edge of your seat with your needles and any ball of wool that was just lying around, crying, show me the pattern! Where’s the pattern?! Well, I used Knitting Without Tears for mine, but you can try out this one or the one here too. Do you like Lego? (don’t worry, I’m going somewhere with this) Need a ball winder for Christmas? Check this out! PS I think ‘legos‘ is wrong, especially when it’s ‘lego’s’. So I’ve been curious to read this ‘6 weird things about me’ meme going around on some blogs. It’s always interesting to see what people reveal about themselves so I’m going to give it a go and see what I come up with. 1. I was going to put in about my pizza-hair accident but you already know that. But I will tell you that my hair has a diagonal parting and there’s nothing I can do about it. I even got a proper side parting cut in, but the parting rebelled and it was so disastrous I had to get my mum to even out one side of my hair. 2. I have a ridiculous amount of creative energy, but sometimes I go through dry spells. Last week marked the end of a year and a half long dry spell and it really feels good to get my beans back. Even though playing the piano drives me crazy, it’s the only thing with enough draining power to really take my edge off. 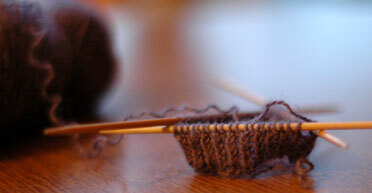 Knitting doesn’t really cut it in the long term, which is why I haven’t ditched the piano for knitting (yet). 3. Speaking of edges and edginess, I have an OCD and it runs in the family! OCD means obsessive compulsive disorder, and no, I don’t go around licking lightswitches before I can sit down or anything. I have constantly restless hands and pick endless at my hair, my skin, my nails, scratch my eyes, my nose, my ears, my lips, everything. It’s why – apart from playing the piano – I always cut my nails right down. It’s also why I can stick hours of practice and why I can’t just sit without knitting – there is no way I could hack an office job for the same reason. It gets worse with anxiety. If you ever meet me, and I have chapped lips, then I’m worried about something! My father, sister and brother all have something similar. 4. I am a very accident prone person. Once, I was flagging down a bus and punched a woman on the street in the face. She got very embarrassed and ran down the street before I could apologise. I was mortified. Another time, I was on the 16 bus and wanted to get off on George’s street so I could go to Opus II. I came down the stairs just as it was turning the corner and whoopsss… slithered right down the stairs on my bum and out onto a little kid. Then there are occasions like, dancing in the kitchen with a can of cocoa powder, dropping it and covering everything in powder, and picking up a pencil from under the piano and headbutting the piano. Alb will remember that one. 5. I can’t make my mind up about anything. I haven’t a clue what I want to do in the future or with my life in general, and my decisions about future plans change daily, if not more often. On the other hand, when I do make a decision, I’ll see it through to the bitter end. For example, in my final year on the BA, I decided to do this huge modern sonata. It was 35 minutes long and was like nothing I’d ever heard before. It turned out to be the bane of my existence. It was awful! In April, one month before my final recital, my teacher said, look, you have to learn the stupid thing because you’ve already submitted your programme. So I decided I’d better get cracking. I practiced it eight hours a day for three days and played the entire thing for him from memory the following Monday. It also turned out to be one of the best pieces I’ve ever learned and got me into the finals of a big competition too. 6. Believe it or not, I have a ferocious temper. I get mad on a daily basis over really stupid things. When I get really mad, it’s like a balloon. I puff up, shout my head off, usually wave my arms about and after about ten minutes I just deflate and it’s all over. Alb is the only person I know who can see through it. We were in a museum in Barcelona, and I started getting all mad about something. He just walked off into the other room and left me there steaming away. After about five minutes he came back to me and said, have you calmed down yet? I started laughing because I know I’d been silly, but that’s just the way it is.